Last night, we ventured out in the January rain to the gorgeous Bartolotta restaurant, Lake Park Bistro, for the MKEfoodies event. At the door, we donated to Alice's Garden, which was the non-profit partner of the month. Local foodies contributed a total of $500 to the organization! Craig and I had been to Lake Park Bistro before for brunch, which featured delicious food and pretty views of Lake Michigan. The event featured wine, appetizers and small plates. Unfortunately, since Craig and I both eat mostly vegetarian, the meat based dishes that are typical in French restaurants didn't really appeal to us. I did enjoy the creme brulee and a glass of wine though. Carnivores Mike, Molly and Alysha enjoyed the food! Joe Bartolotta spoke to everyone about the building's history and Bartolotta restaurants in general. He came up to Chris, Karis, Craig and I and spoke to us directly as well, which was a nice gesture. We learned about the building's origins and how Bartolotta's purchased it from the parks system. 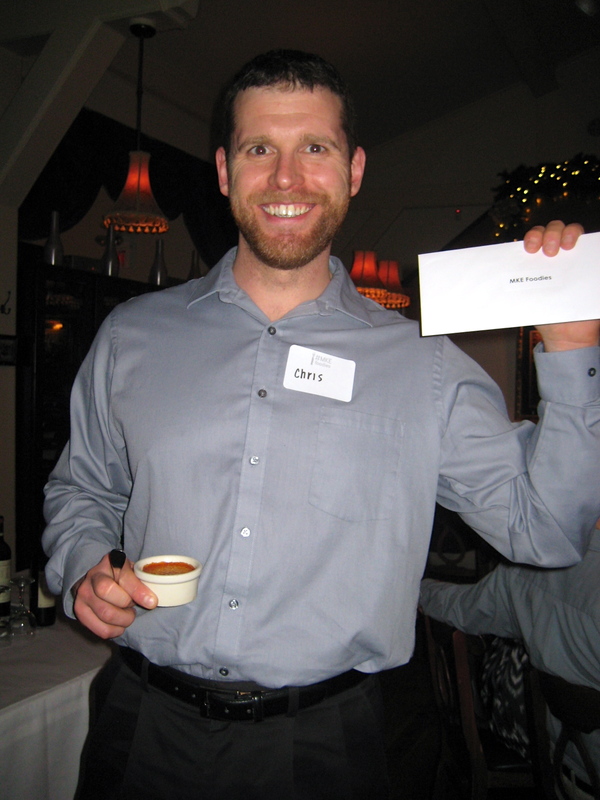 There were two door prizes offered! 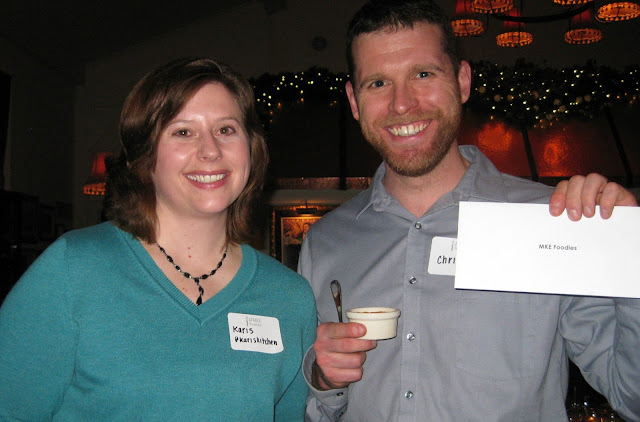 Chris and Karis won a gift certificate to any Bartolotta restaurant! We didn't get a tour of the kitchen, so we checked it out from afar. The next MKEfoodies event takes place on Wednesday, February 20th at the Mason Street Grill. If you are interested in joining the growing group of foodies, subscribe to the mailing list here. This weekend was very relaxing for us! Was yours? 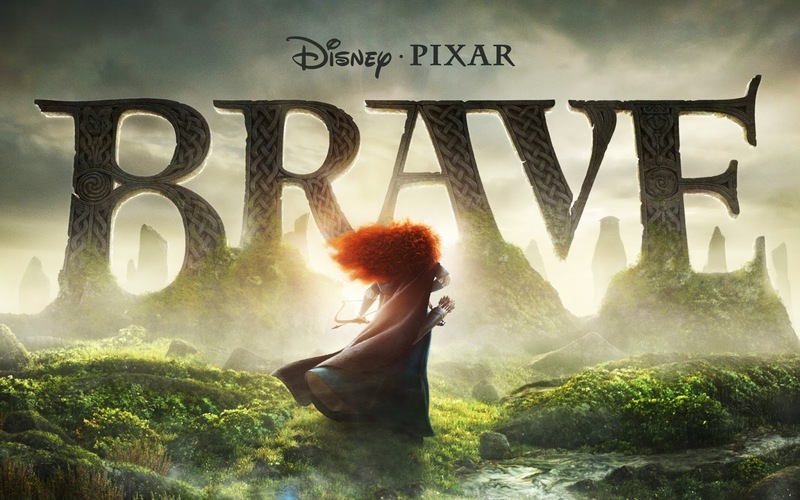 And Brave, which was also just ok to us. 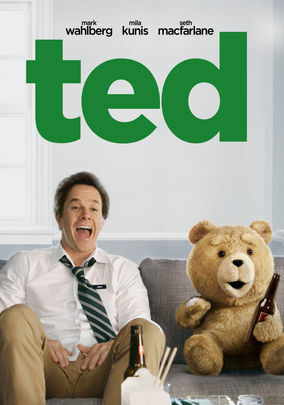 We used Redbox for the first time to rent Ted. It was pretty easy to use in general and there always seems to be codes for free movies out there, which we had success with. On Friday night, we made an Orange Leaf stop, which just made me wish Yo Mama was closer to us. On Saturday morning, I ran to Lands End to return a dress and ended up purchasing two long sleeve shirts. Since our large and very expensive TV broke on Friday night, I decided shopping at the rest of the mall wasn't a good idea in case we had to invest in a new TV sometime soon. I just ran to Target for some things for work and then to Trader Joe's. I have decided that stocking up at TJ's at least once a month is worth it. The big, local grocery store in our area has just been disappointing me every time I go there. 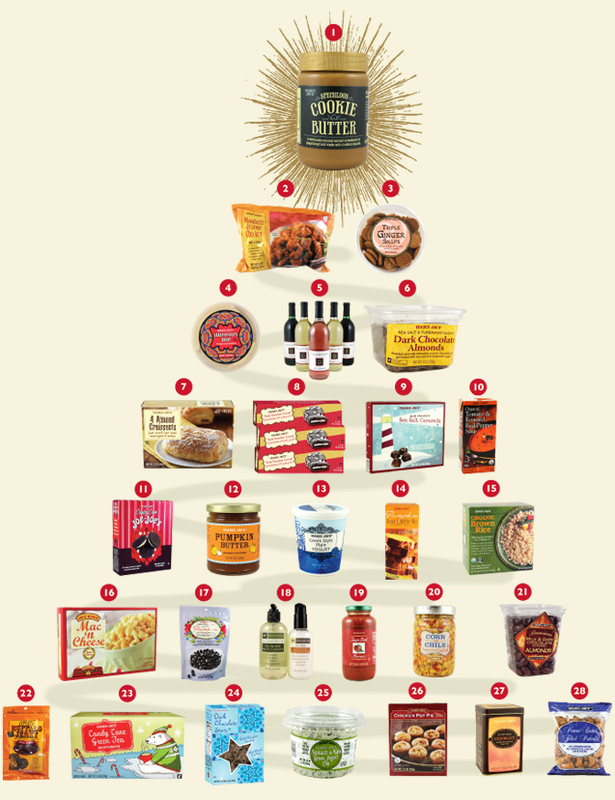 Did you see the Trader Joe's Most Favored Favorite Products of 2012? It's been a while since we got to the Indian buffet at Royal India on 27th Street and we finally had a free Saturday afternoon to get lunch there. I was so happy they had paneer tikka masala and plenty of fresh naan constantly coming out. Craig's always happy to get mango ice cream (and so am I). I also had some kheer (rice pudding) for dessert, which was delicious! Tonight, I made Sweet Potato Chili with Quinoa and Black Beans. Karis made it at her Downton Abbey party and it was so good! I'll be eating this for lunch and dinner all week. I also made some cornbread muffins to go with this recipe. I topped it with plain Chobani and English Coastal Cheddar. Dessert was what may be one of my favorite flavors of Chobani: the Fig with Orange Zest. So tasty! I wish it came in a bigger size. We got some sleet and snow today and our driveway, sidewalk and my car aren't cleared yet, so I better go outside and get that done. I need the exercise anyway! I've been kind of sedentary all weekend and I know that once the clock turns 8, I'll be on the couch another hour watching Downton Abbey! Happy Friday! I am sure ready for this week to be over with and especially this day, which has turned out to be quite strange. 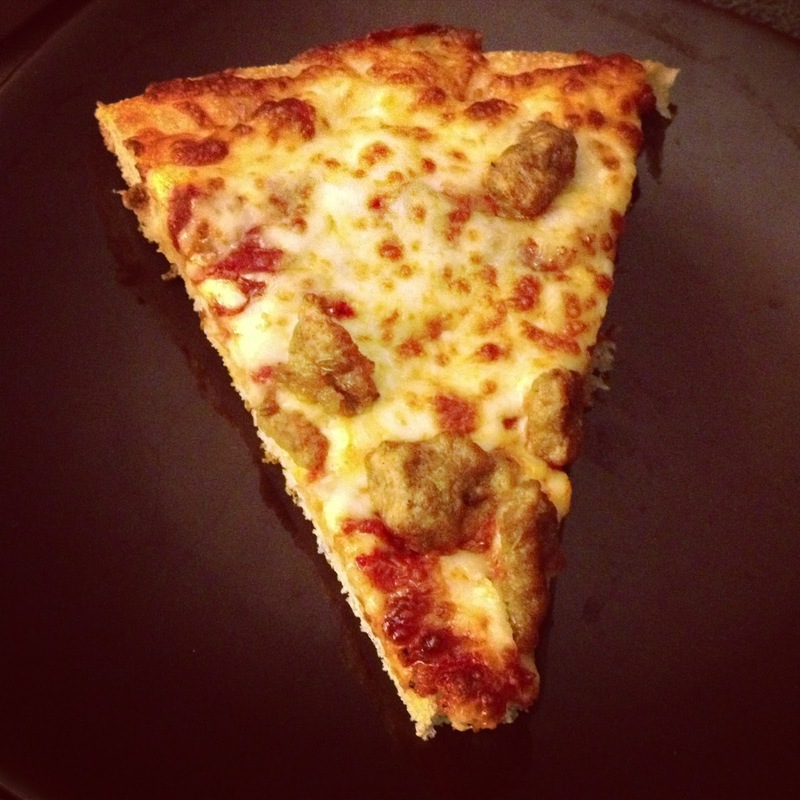 Earlier this week, I was feeling pretty lazy in the cooking department and craved pizza all the way home from work. I almost texted Craig to tell him to pick up a pizza on his way home, but I never did. He must have read my mind because he came home with one! I was so happy. What a great husband. 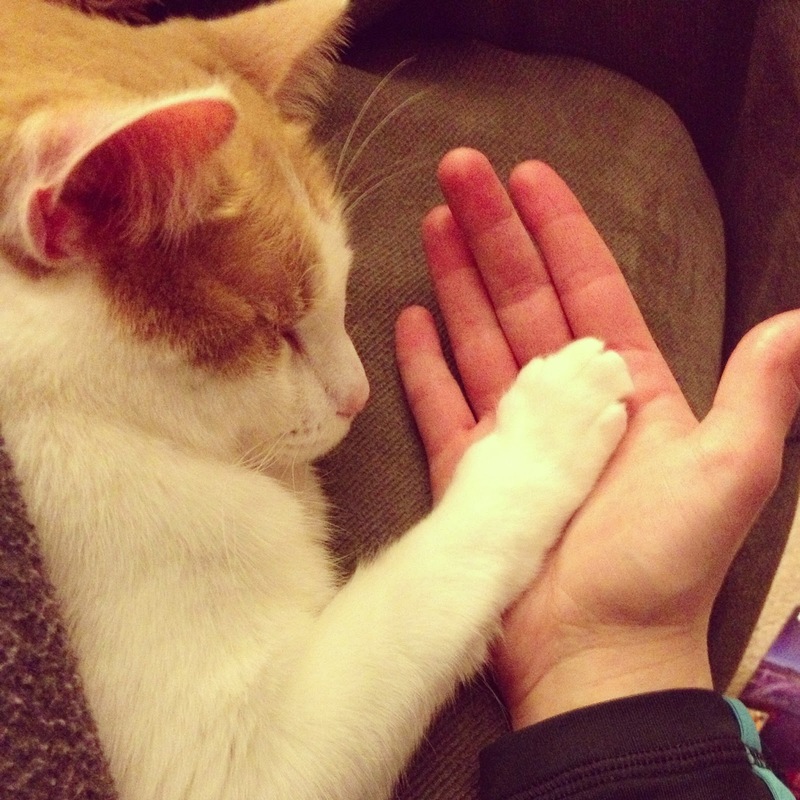 Karma randomly placed his (super cute) paw on my palm when I was hanging out by him. Love this little kitty. 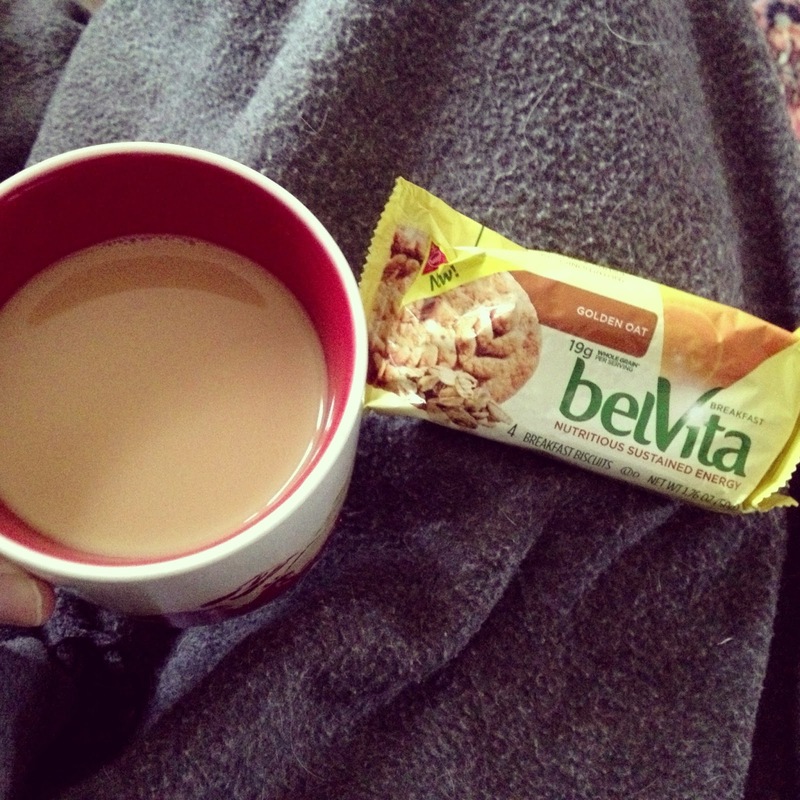 I won some belvita breakfast biscuits from Self magazine and they came in the mail this week. I tried them for the first time and they are pretty good. Definitely not something I will buy in the future though because of the nutrition stats. More fun mail this week included a letter from my mom's cousin (who we just saw on Sunday). 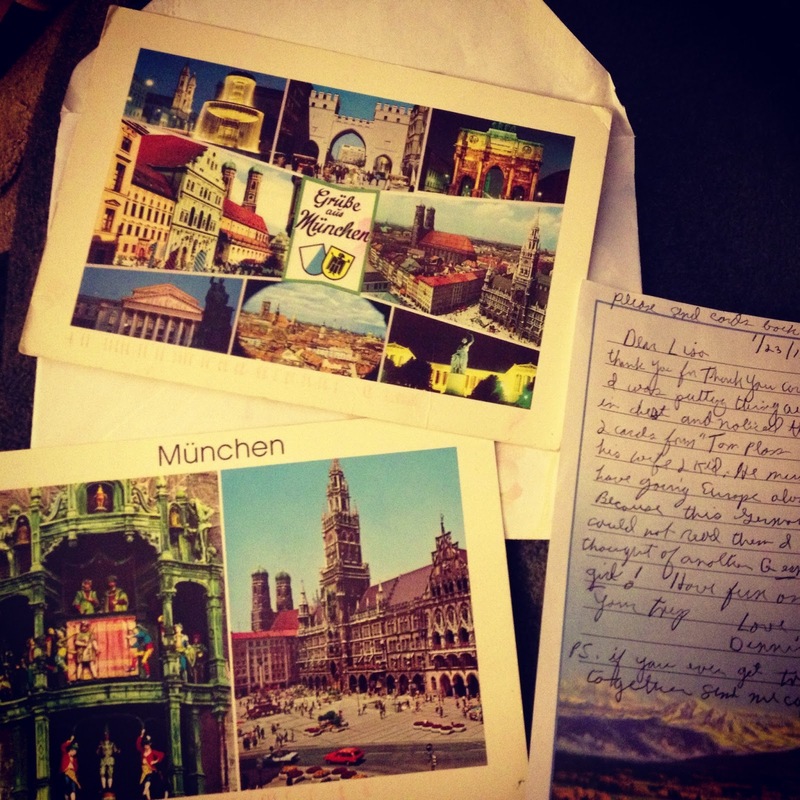 I had written a thank you card to him and he wrote back the same day and sent these two postcards from Munich, Germany that he found after we left his house. They are written in German and I had to try to decipher what they say. This lead to more genealogy research online and more names to add to my family tree that I didn't know existed. It was cold about 3 out of 5 days this week, so I decided to workout at home instead of at the gym. One night, I did yoga, danced and did some strength and cardio. 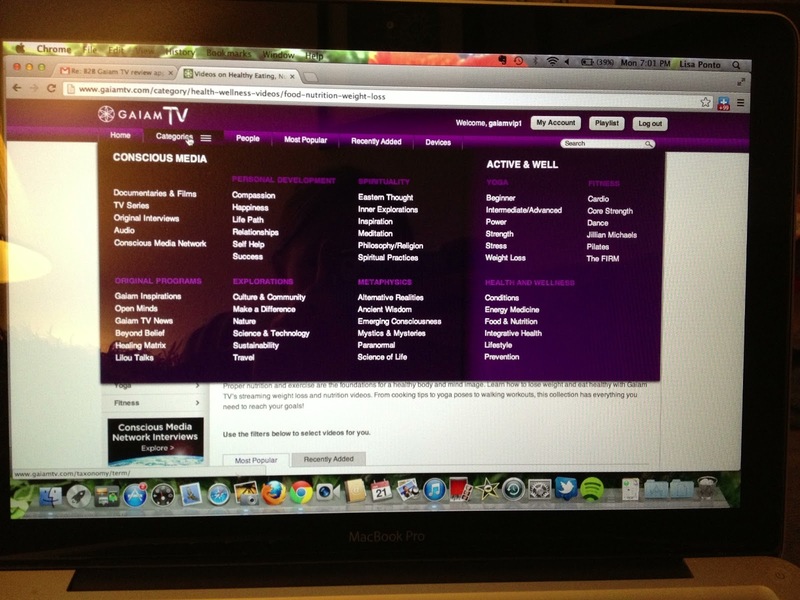 Another night, I tried Gaiam TV out for the first time. I received a free month thanks to Business 2 Blogger and I just started trying it this week. I will blog about my experience sometime at the end of February and give you readers an overview of all of the lovely things you can do on Gaiam TV's website. There were lots of Jillian videos to choose from, which made me happy because I find that she is really great at motivating me. Well, I blogged on my lunch break today and it's almost over, so I better go catch up on some of your blogs. :) Have a wonderful weekend. I'll be hitting up the mall and Trader Joe's, Orange Leaf for some fro yo and watching the movie Brave, that my co-worker kindly borrowed me. I went MIA last week. Sorry about that! I love to blog, it's just that I ended up quite lazy with everything in the beginning of the week and then I didn't have much to write about. I ran a bunch of errands on Friday morning because I worked until midnight on Friday night. I used a Living Social deal for a local business, Health Hut. The thing I love about Living Social and Groupon is that they expose you to new businesses you might not go in otherwise. This was the case with Health Hut. I liked a lot of the foods and supplements they sold and was impressed in general. They were a bit overpriced on some things and then other things that were on sale were exactly the same prices as other stores. I have a good memory, so I know a lot of prices on food items in my head. I ended up with some cereal, soup, an Amy's frozen meal and a large Kiss My Face Conditioner, all for $10 in the end because my deal was worth $20. I had a huge headache when I woke up late on Saturday morning, so I took some Tylenol and attempted to get rid of it with coffee. No luck there. I literally stayed in my pajamas all day and didn't shower. I just lounged on the couch and read travel books on Europe, drew a map of where my mom and I will likely go to, how long it takes to get to those places and how many nights we'll stay. It's actually quite difficult to plan a trip out like that and I realized we are going to have to cut out some of our original destinations to see others. It comes down to quality vs. quantity and I don't want be so overwhelmed with being constantly on the move that we end up sick of traveling by the end. On Sunday, Craig and I got to the gym and I worked quite hard on the stair stepper and lifted weights. I was sweating by the time I ended my cardio session and feeling very hungry. The best part was discovering the cities my ancestors were born in or lived in. 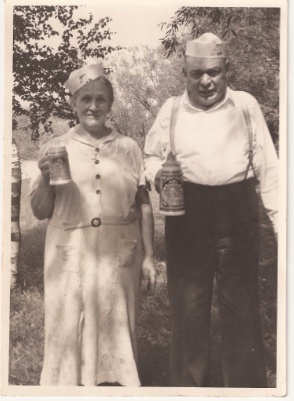 We may end up visiting places like my Great Grandmother's birthplace of Fichtenbach, Germany or the location they last lived in together before immigrating to America, Furth im Wald, Germany. I also may or may not have a German author in my extended family. That still remains a mystery and my mom has to help me solve that one by finding a particular photograph. 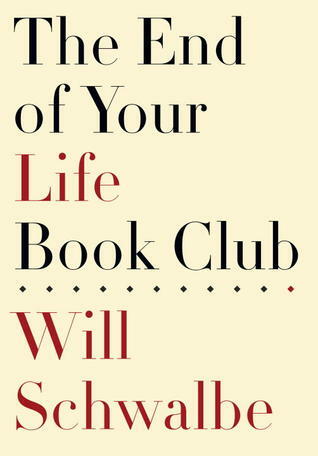 I finished The End of Your Life Book Club today and even though I knew the ending, I still ended up in tears on the bus. 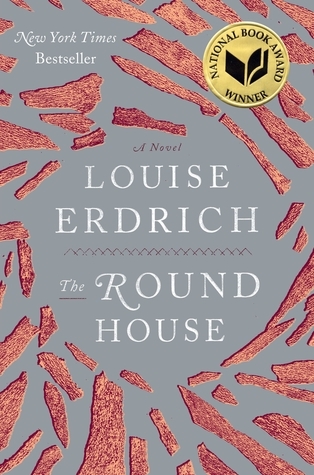 I really enjoyed this book and would definitely recommend it to others. I liked that the appendix included all of the books the author and his mom read and discussed. I definitely added a few to my "to read" list. 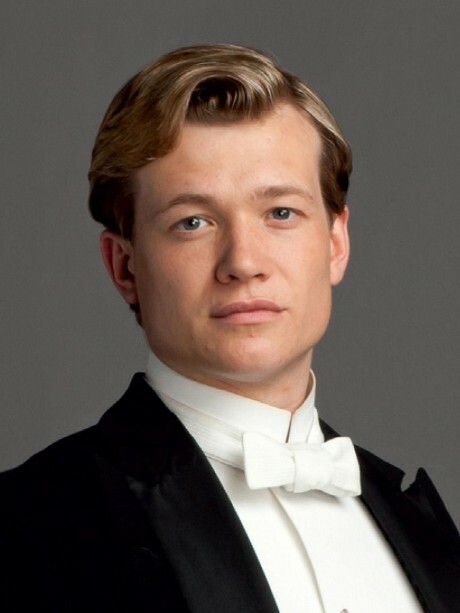 And finally, I'll leave you lovely readers with some eye candy, a new character on Downton Abbey. I totally thought this new character was so cute and then it was funny to see the "help" of the house all start to notice him too. Craig was not happy listening to me cheer when the girls were oohing and aahing over this new boy. Looking forward to seeing more of him on the show! Did you know that today is Blue Monday? I actually had a great day, so no blues here, despite the freezing cold weather. I have always been a big reader and I have my parents to thank for that. I read mostly non-fiction books and I like to pick up a fiction book occasionally. 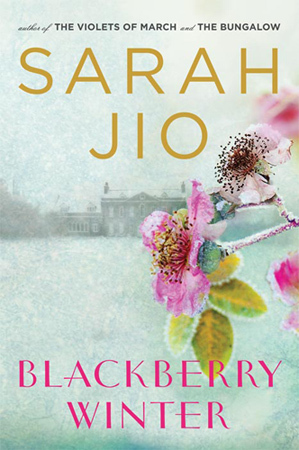 I had seen Sarah Jio's latest book, Blackberry Winter, mentioned on blogs and Goodreads, so I was ecstatic when I found it in the new books section at the library. I loved her book The Violets of March and enjoy her style of writing. I read this the entire bus ride to work on Friday and when I stepped off the bus, I really felt like I was leaving another world that Sarah had transported me to. Now that's when I can tell I am really into a story! I finished Blackberry Winter yesterday and jumped right into another book on my Kindle. I really love checking out books via the digital library system and downloading them to my Kindle for the maximum of 21 days. I started reading this selection last night, after hearing about it in various publications. After I am done with that selection, it's onto this one. What are you currently reading? Do you prefer non-fiction or fiction? I've been a fan of yogurt since I was probably 5 or 6 years old. I love to try new brands and I was happy to find Müller yogurt at my local grocery store over the weekend. I tried their greek variety and their fruit up lowfat yogurt. I loved both. The peach passion fruit was so creamy and tasted different, but in a good way. I also had delicious Trader Joe's Balela on a huge salad for lunch this week. This flavor was so yummy and made for a great dessert. I had the strawberry greek yogurt for lunch today and that was fantastic too. The sugar content in their greek is close to Chobani (18 g). I paid $1 on sale for the greek yogurt. I actually didn't get to try any of the tea that I received from the tea exchange yet, but I did try the Lotus green tea Tazo flavor that a co-worker gave me and I would definitely purchase it. 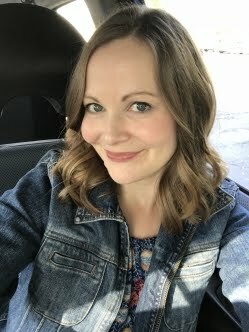 I haven't talked about my workouts lately--I got to the gym four days this week and I am trying to add some variety to my routine, plus lift heavier weights. Staying active has really helped me deal better with work stress. It's my busy time of year and I find that all of the multi-tasking has worn me out physically and mentally. I'm so happy it's the weekend! I am looking forward to relaxing a little more than last weekend. On the agenda--a tire rotation and oil change (worse than going to the dentist), dinner with a friend at an Indian restaurant, reading Blackberry Winter by Sarah Jio (so good--I hope to finish it this weekend), meal planning, Europe trip planning and I already did some of this tonight--genealogy research on Ancestry. I know, I am a total nerd. I just got access to the paid site and I think I looked up about 10 family members so far. Karis generously invited a bunch of us Milwaukee food bloggers over to her house on Sunday night to exchange our favorite teas, have dinner and to watch the Season 3 premiere of Downton Abbey. Below are Abby, Alysha, Molly, Karis, Inger and I.
I brought Cucumber Cream Cheese tea sandwiches and thought they turned out great. We did a cheese tasting and I ended up loving the English Coastal Cheddar. We also had the delicious crostini topped with apricot preserves and stilton cheese that Molly brought. Karis made farro soup and sweet potato chili. Both were delicious, but I thought the chili tasted so yummy! Check out her blog for the recipe. I'm definitely going to make it soon! Here are our lovely toppings for the chili, which was also a great idea. The bottom left corner is not sour cream, but plain Chobani, which I love to put on my soup. Alysha contributed the corn bread, which paired perfectly with the chili. Everyone brought their favorite tea to the party, which is such a great way to try new flavors. I have been enjoying the Trader Joe's Vanilla and Cinnamon Black Tea, so that's what I exchanged. Karis kindly bought us all the adorable initial mugs from Anthropologie. Oh and check out the very special Royal Wedding tea that Molly brought! So cool! While watching Downton Abbey's Season 3 premiere, we drank one of Karis's favorite teas. It was really tasty and I need to pick it up at our local Sendik's grocery store next time I go. For dessert, we enjoyed shortbread made by Inger and vegan madelines that Abby brought. I loved that Karis even put her British flag on the coffee table as a table cloth. I was cracking up watching Karis and Chris's cats play while we watched the show. I love this shot I got of Chianti, who was quite playful and wanted to attack my camera strap. I really enjoyed seeing Downton Abbey again, but had to leave the party early and still haven't seen the last 35 minutes of the show. I hope I can find it repeated on TV this week. I attempted to watch it on the PBS site last night and it didn't work out. The video was so slow and kept pausing. What is your favorite type of tea? Do you take it with milk and sugar? I have been trying to drink mine plain lately. I always have enjoyed a cup of Yorkshire Gold with milk and sugar though. We've had parties to go to every night this weekend and I still have one to attend tonight! On Friday night, we went to Brocach Irish Pub in Milwaukee to celebrate my friend Kim's birthday! Craig and I both really liked the pub and the menu selection. It was fun to catch up with Kim and our friends Jenny and Tim also came out for the party. I ran some errands on Saturday morning to Marshall's, Target and Trader Joe's. I was so happy to find some things at Marshall's and then these at Target! 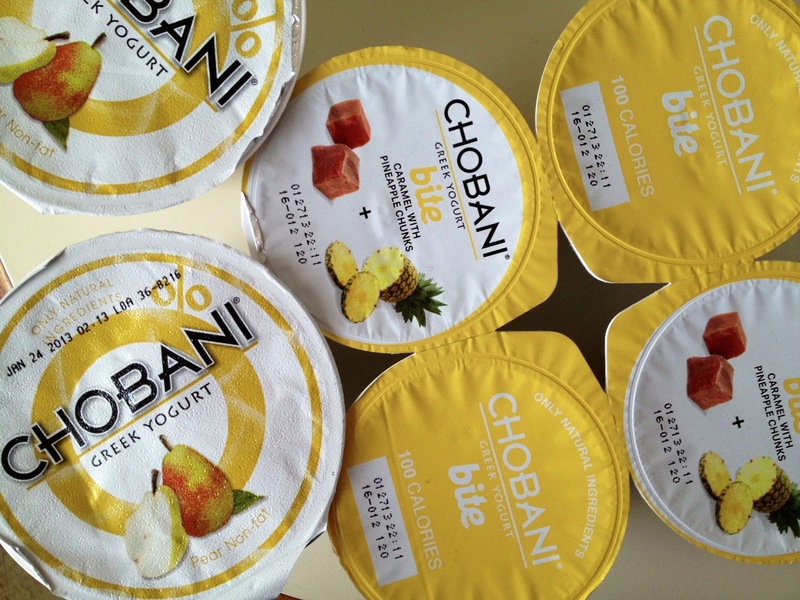 Hooray for the new Chobani. I already tried both flavors and they are delicious. I picked up some new crunchy cookie butter at Trader Joe's. It's really yummy. I like the crunchy over the creamy. When I got home, I enjoyed my Vegetarian Shepherd's Pie leftovers from Brocach with a clementine. While I ate, I read a sweet thank you note from my friend Laurie. I was excited to find this blue champion hooded sweatshirt in the mail yesterday. I won it from my local YMCA's facebook page. It's super cozy and warm. I can already tell I will be living in it on weekends and wearing it a ton on walks in the spring and fall. I had to trade the cozy sweatshirt and put on tights and a dress. Saturday night featured party number two of the weekend--Craig's work Christmas party. It was at a Marriott hotel in the area and turned out really nice. 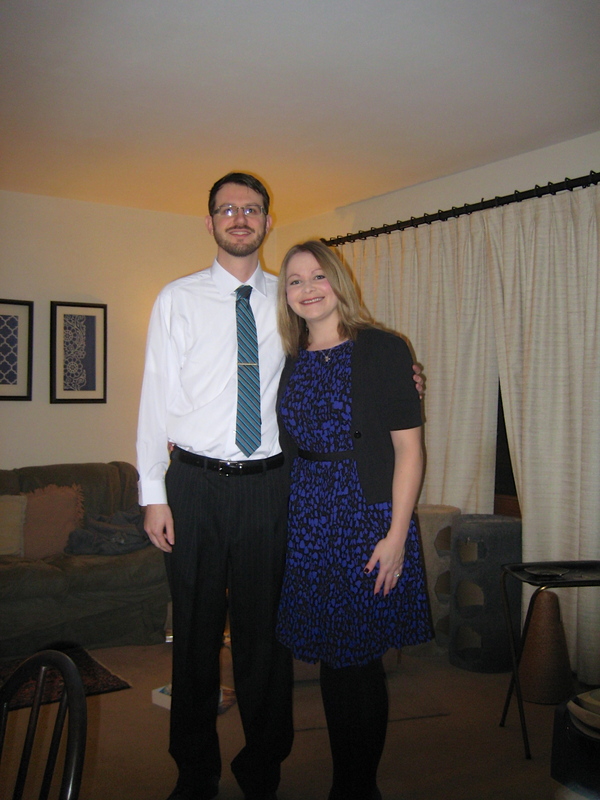 Here's our attempt at getting a self-timed photo together before we left the house. I had Craig snap one of me in my outfit. I seriously don't love dressing up. It's always such a huge struggle for me to find cute dresses and especially ones to wear in the winter months. 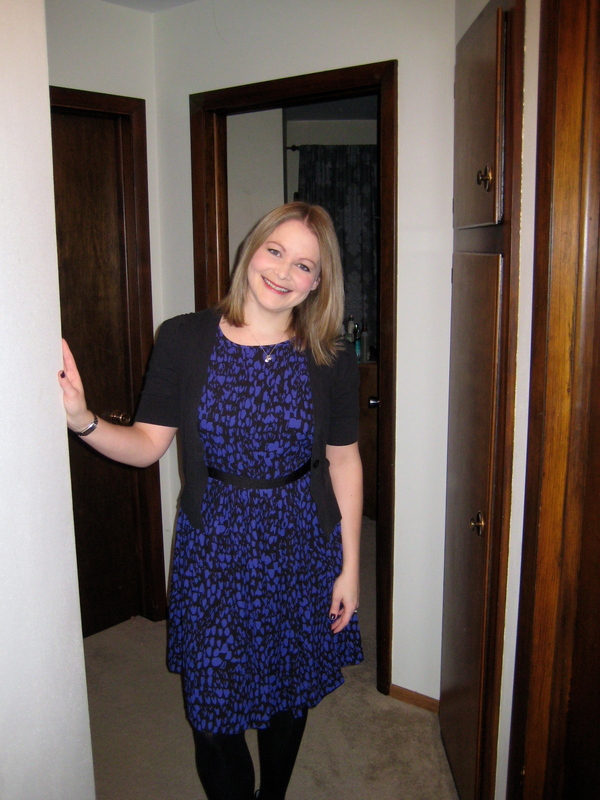 I found this one on sale for $40 at Ann Taylor Loft and paired it with a black sweater, black tights and shiny heels. I better go mop the floors, shower and then start making the cucumber cream cheese tea sandwiches I am bringing to Karis's tea exchange and Downton Abbey party tonight! I can't wait to eat lots of good food, drink some tea, catch up with other local bloggers and watch Season 3's two hour episode!